North East communications firm Recognition Marketing & PR has invested £300,000 in moving into its new office space. The Darlington business, which now employs 14 people, relocated to the 3,000 sq ft of office space in Pioneer Court, Morton Palms Business Park, this week. The investment includes not only the acquisition of the new headquarters, but also the fit-out with audio visual and internet marketing technology to drive the firm’s services forward in the next decade. Recognition drew support from a network of trusted business advisors to help with the move. 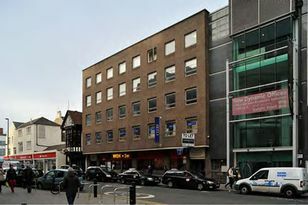 The building, which was designed by award-winning architects Red Box, has been bought from developer City & Northern, after owner Graham Robb engaged the Teesside office of chartered surveyors Sanderson Weatherall to help find the new premises. The space includes five meeting rooms, a main office area and also specialist technology suites. Associate partner Tim Carter played a major role in identifying the building and ensuring the deal was brokered. Legal work on the acquisition was conducted by Nicola Neilson, a partner and commercial property expert at Latimer Hinks Solicitors in Darlington. Meanwhile, Stuart Anderson, managing director of Durham-based Wilkinson Maintenance, was engaged to fit-out the office to Recognition’s specification. Finance for the move was raised through HSBC, where international commercial manager Allison Routledge has been a long-term advisor to Recognition. These funds were used in addition to capital from Recognition’s own reserves. Acquisition of the offices represents part of a renaissance for Morton Palms Business Park, following the recession. Tim Carter, associate partner at Sanderson Weatherall, added: “The office market is seeing increased demand at the moment and it is because of forward-thinking businesses such as Recognition.